The holidays are over and now we continue with our regularly scheduled program of new releases!! :) It's time for the sneaky peeks of Your Next Stamp's January release. 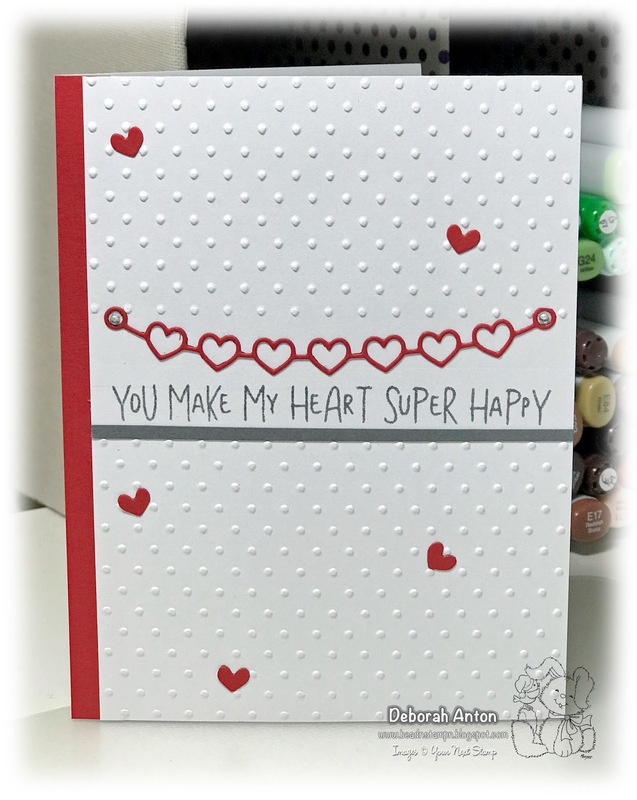 This release is full of love and many ideas to be used in creating some super fun Valentines. For my two cards, I am using the new Whatnot Sentiments Eleven set. This is such a fun set! I love sentiment sets and this was no exception to add to my collection. I just love this line! LOL... I know a few people who this applies to and luckily, one of them is not me! I just don't nap. But if I did, I would certainly fall into this category. The sentiment is combined with the Irish Fun Die set and placed over a piece from the Ripped Rectangles die. I then heat embossed the sentiment in white and popped up the beer glasses. For my second card, I also used the new String Hearts die to coordinate with this sentiment. I embossed the top panel in two sections leaving the center smooth. I stamped the sentiment and added the string hearts above it. The heart cutouts from that die were used to place throughout the card and I added a small strip of grey cardstock below it and a piece of red off to the side. Be sure to stop by the YNS Blog to see all the fabulous creations the DT have put together for this peek. And don't forget to come by again tonight for our Blog Hop and new release. Not to mention your time to shop and get your favorites before they sell out! Thanks for popping in and hope you have a great day! Love how you used this Whatnot set Deborah! 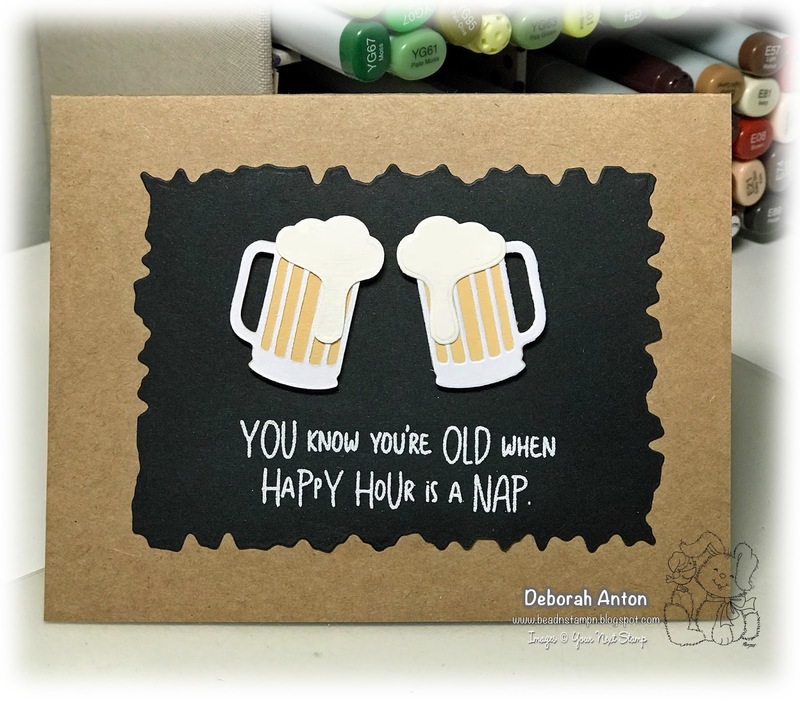 The beer card would be perfect for my beer lovin' brother! Great card! Haha! Love that first card. So true. Great cards!